Livedrive Briefcase is our flexible and innovative access-anywhere product, that lets you access your files wherever you go, and see the same files on all of your Macs. As it is shared between all of your computers and accessible from anywhere online, it is a great place to put the files that you use most regularly. Local Files: Local files are files stored on your physical computer. Briefcase has the ability to store local files as well as store them on our servers as online files. Online Files: Briefcase allows to you store files as online files. These files have a .ld extension and reduce the file size. Online files can be viewed online or by downloading the file to your computer. Once the software is installed you can use your Briefcase files just like any normal file on your computer. You must ensure that your data has finished uploading before removing or deleting the data from your computer. You can check this in your Web Portal and review the files that have uploaded. That’s it! 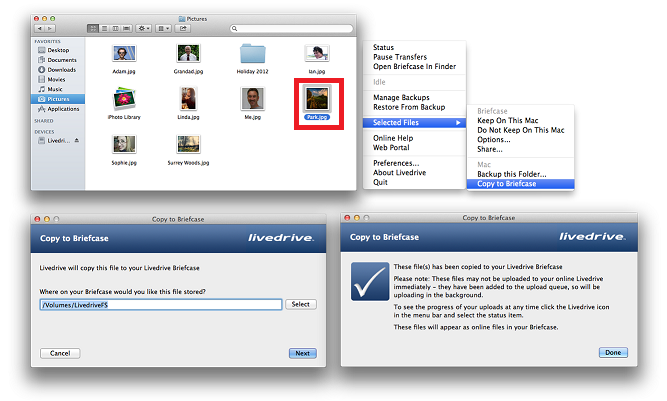 Livedrive will copy your files to your Briefcase. 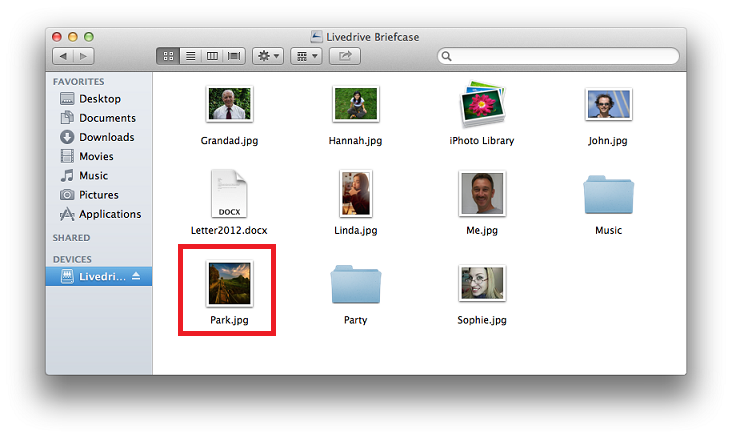 You can access your Livedrive Briefcase via the desktop icon or via theLiverive icon, Open Briefcase in Finder.